Congratulations macca84 for winning last month's competition. Below are the history, rules and topic of this contest. The contest ends at 11.59 UK time on February 28th, and voting opens from then until 23.59 on March 5th. Members may not vote for themselves, and since not voting gives you a higher chance of winning, it will be penalised by a deduction of 10 points [points are allocated as 10 for each first-placed vote, 6 for 2nd, 4 for 3rd. 3 for 4th and 2 for 5th] to redress the balance, unless for any reason the member in question is unavailable during voting, in which case alternative arrangements may be made in advance. Congratulations again to the winning entrant macca84, especially impressive for a rookie. Well deserved, and to win with the quality (and quantity) of entries from last month is particularly impressive. Well done Macca84 - nice one. Off on holiday for 12 days, no one's come up with anything yet, so here are a few ideas - I'll get rid of them when I get back. Last edited by Jimbox01 on Mon Feb 24, 2014 11:03 pm, edited 1 time in total. The company I work for recently moved premises to an aircraft hangar from a former RAF base that is being converted in to a business park. My boss did not only buy two of the hangars, he also bought the runway, so he could land his plane there and fly to work on occasion. It also means we can use it for straight line speed testing our cars, it's 800 metres long (the two main 2km runways have been broken up) but its effectively like having a mini Top Gear test track. I will take my DSLR around tomorrow if the weather holds and try to get some better shots. Me thinks you may need a little bit of updating or remodeling in your new office, Alien! Alien being the only person to have experienced nice weather in the UK this month. Edited your post to fix it. In future, open the image in a new tab, or copy image location [either way, right-click] and put that address in the img tags. Not just the web address. Today was terrible, with the winds blowing so strong against the doors it was almost impossible to open. Here's my entry for this month. I had been meaning to go and photograph this building for a while now. 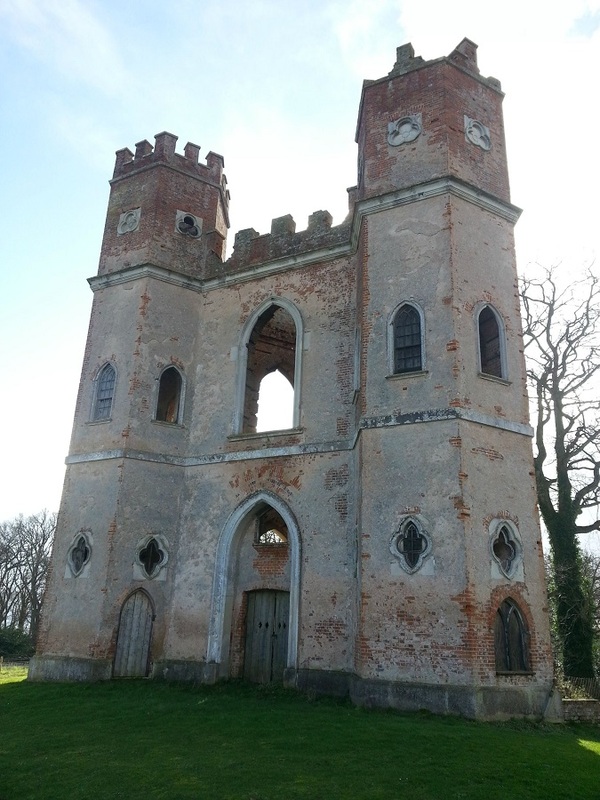 It's a folly built on the Powderham estate now fallen in major disrepair. I had enough of a break in the lashing rain to drive out there yesterday and take a few pictures. The whole album is Here for those who want to see it. It's all boarded up so interior pictures taken by poking phone through various gaps between wood and masonry. Here's the one for the submission.